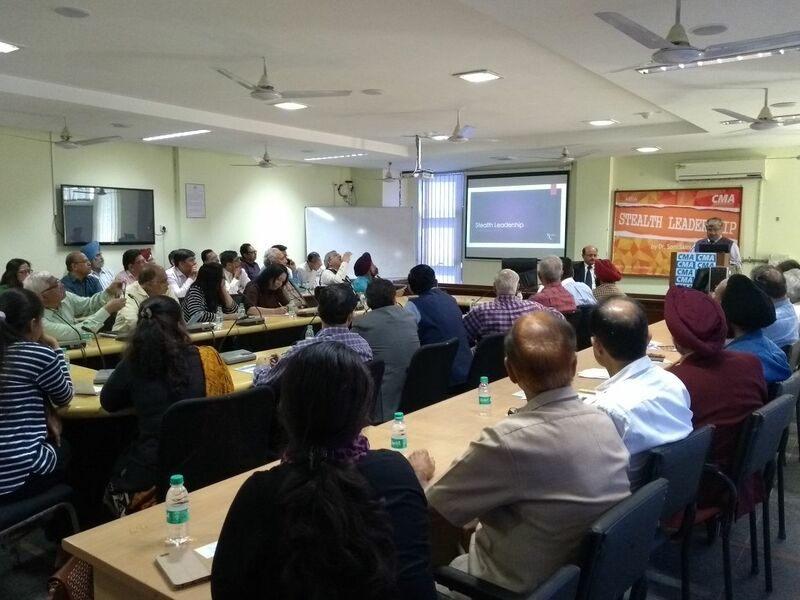 CMA organised an expert talk on Stealth Leadership at Mahatma Gandhi State Institute of Public Administration, Punjab,(MGSIPAP) Sector 26, Chandigarh on March 11, 2018. Dr. Som Saini, an Australia based global consultant was the expert speaker. President CMA, Mr. Deepak Dhingra, set the stage for the talk by introducing the concept in his welcome address. He said, “Stealth Leader is an invisible hand – somebody who can influence you, your job, your life, without having to announce their presence”. He explained that such a leader cares nothing about stature and status, but instead judges his success on how much they help others. The speaker Dr. Som Saini enlightened the audience with a 360 degree view of the concept that would aspire each to become a stealth leader. A Skype call was also arranged for the attendees with an Australian colleague of Dr. Saini for a first hand information exchange on the subject narrating real time implementation and experiences globally. The talk revolved around aspects of communication, talent development, strategy, succession, raising accountability and overall self evolution. The talk was followed by a question and answer session where the CMA members deliberated on comparing stealth leadership with other forms and deriving its uniqueness in application. 65 CMA members attended the talk.